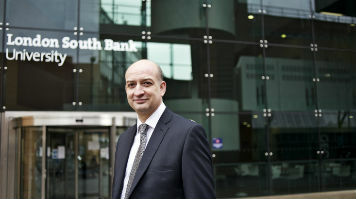 The university think-tank million+ has announced that Professor David Phoenix, Vice-Chancellor of London South Bank University (LSBU), will become its Chair for the next academic year. Professor Phoenix has been Vice-Chancellor of LSBU since January 2014, having previously served as Deputy Vice-Chancellor of the University of Central Lancashire for six years. As a leading researcher in biochemistry he currently holds visiting chairs at Kings College London as well as Sichuan University in China and is an Honorary consultant in clinical biochemistry. Professor Phoenix said: "I am delighted to have been given the opportunity to chair million+ which is well-placed to respond to the agenda of the new government in Westminster whilst also working with our University Members in Scotland. "I would like to thank both Michael Gunn and Michael Driscoll for their leadership of million+ and their commitment to higher education and research. They have ensured that governments of all colours have recognised the value and benefits to individuals and the economy of supporting a world-class university system." Professor Michael Gunn, Vice-Chancellor of Staffordshire University, who has served as Chair since 2013, will retain a key role as Treasurer, replacing Professor Michael Driscoll whose longstanding association with million+ as both past Chair and current Treasurer will come to an end on his retirement as Vice-Chancellor of Middlesex University.